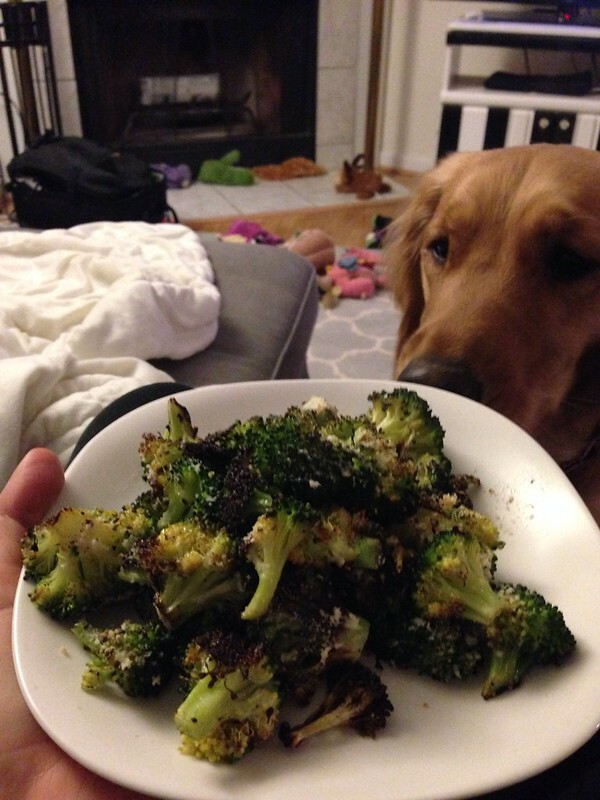 Ever since Reid made me this amazing dinner, Roasted Broccoli has been our "go-to" veggie choice. It's amazing as a side, but sometimes it's all I want for dinner! The craziest thing is that I am a veggie girl and had NEVER had roasted broccoli before Reid made it for me. Steamed, stir fried, raw, sauteed, but never roasted. roast for 15 minutes (there should be some crispy bits - YUM! Basically it will be the best broccoli you have ever had! As you can see, Penny really wanted a taste! The best thing about veggies is that they are naturally gluten free.